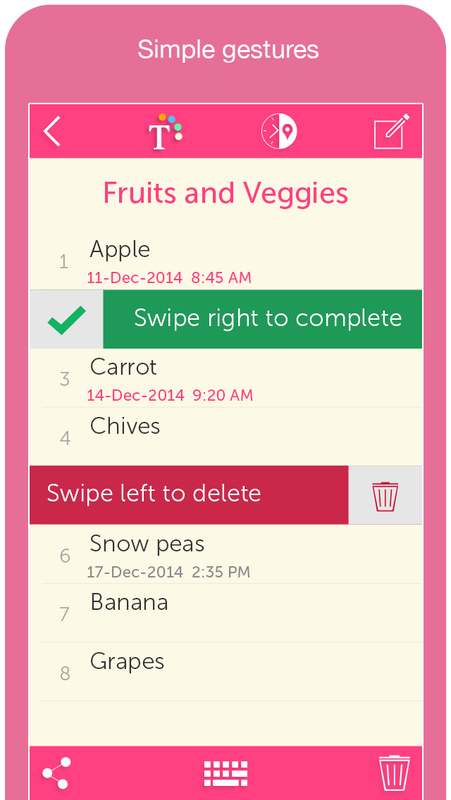 Orderly is all about prioritizing tasks to ensure you complete the most important ones on time. This app makes it easier for you to keep records of all the things you want to do in due time, in your iPhone or iPad, and still be able to retrieve it when you need it. This makes life a bit easier as you will never have to worry about carrying pens and papers to keep your memos. The menu bar icons at the top allow you to quickly change the background color, text, and font to make the list stand out. A priority level, reminder, and proximity reminder can be attached as well. All of your task lists will appear as little notes on the app’s home screen presented in order of importance. Another great feature is the ability to synchronize files from drop box, and also share the same with your friends and family. 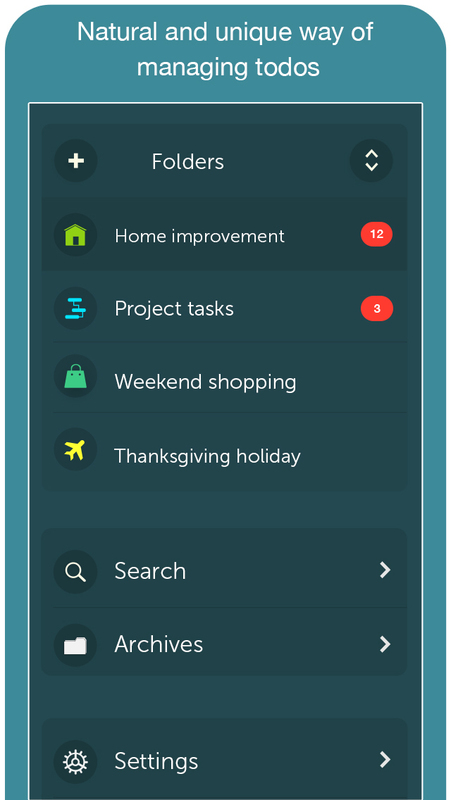 Orderly is a nice and incredibly easy to use todo list app designed exclusively for iOS, is now updated with great features like unlimited categories, powerful search and many more customization. 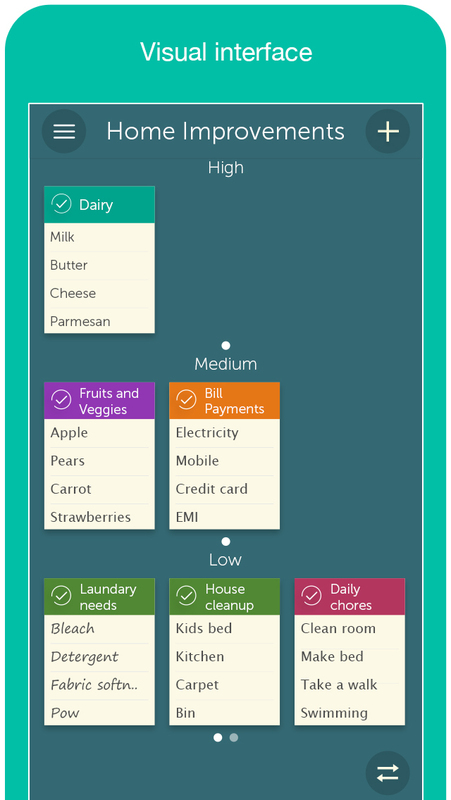 "Orderly is design based on how the human-mind visualizes todo lists !" 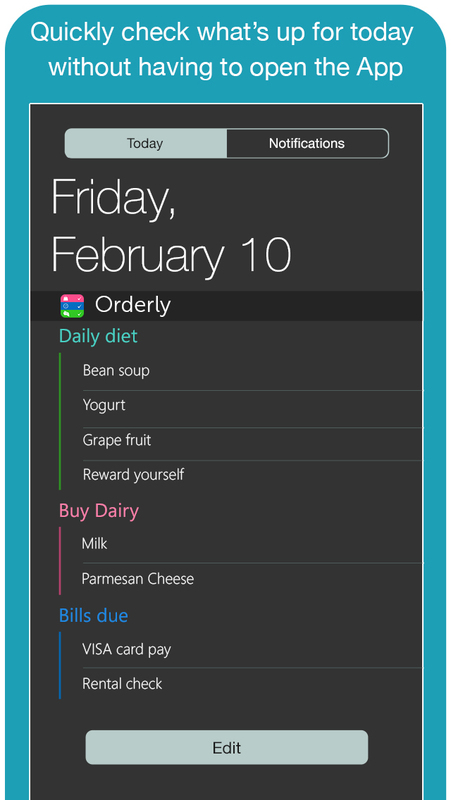 Featuring a breath-taking interface, seamless cloud sync, Orderly comes with "Location Based Reminders", so that the users never miss a todo task at a particular location and displays the to-dos using the APPLE's bookshelf metaphor, so that you get a glimpse of your todo lists without having to open them individually. 1. Visual interface and layout. 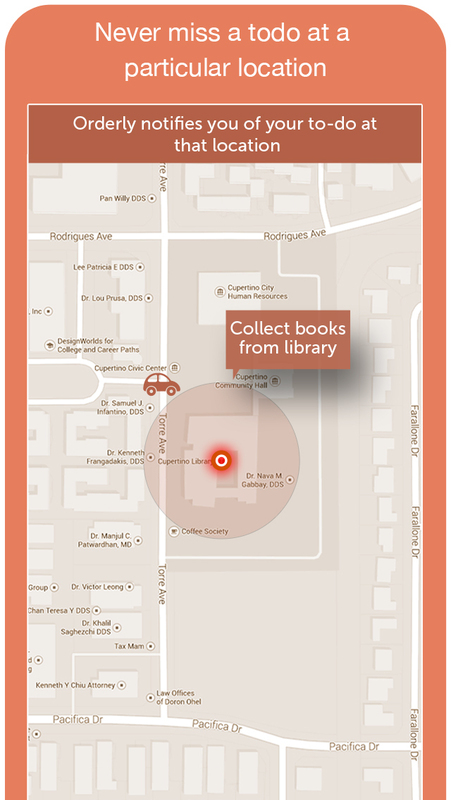 * LOCATION based Alerts, reminds you of the to do or task at the place you are in ! * Supports two boards or views. A Home view and a Work view. * Complete todos with simple gestures. * Search through Archives of completed todo lists. # Drag and drop on the "Flip" icon to move it to other view.